Disclosure: I work for the Courage Campaign which has worked on the Blackwater issue, but these opinions are my own. Earlier this week, I asked What the Hell happened in San Diego in the June 3 election. I explored a particularly underwhelming electoral performance and noted that there was a massive failure of leadership from the city's elected Democrats (active and retired). Councilmember Donna Frye supported GOP mayoral challenger Steve Francis and Council President Scott Peters ran against the Democratic incumbent City Attorney Mike Aguirre. Incidentally, both Francis and Peters failed to make it to the November runoff. Then yesterday it happened again. Councilmember Ben Hueso, who in May was rallying to Block Blackwater in his council district, announced his endorsement of Republican city attorney candidate Jan Goldsmith. This is particularly notable because Goldsmith's opponent is incumbent Mike Aguirre. Aguirre has been a champion for the city in the fight to force Blackwater's permits into public hearing at a time when a number of other city leaders have...attended a rally and then thrown up their hands. If Jan Goldsmith as City Attorney would go to bat over Blackwater or any other number of issues that might be uncomfortable for the Mayor or inconvenient for the City Council, I would be absolutely flabbergasted. The campaign, like every other challenge to Aguirre this year, has been centered around a promise to sit down and shut up. The last thing this city needs is another elected official who doesn't have the necessary combination of power and motivation to force important issues. As the UT newsblog notes, Hueso and Aguirre have never exactly been close. And Aguirre has taken a lot of flack throughout his term as City Attorney for his rabid pursuit of Mayor Jerry Sanders for all manner of scandal- real or imagined. But as Councilmember Hueso well knows because he's at the meetings, the City Council hasn't exactly put on a clinic when it comes to keeping mayoral power checked by the legislative branch. Fighting the good fight has consistently taken a back seat over the past two and a half years to misguided "pragmatism" that largely allowed Mayor Sanders to get anything he wanted. Hueso said the city attorney's political persuasion is less important to him than getting "the best legal advice." If the Democratic Party in San Diego is ever going to be able to capitalize on the tremendous infrastructure building being done at the precinct and street-corner level, leading Democrats need to stop undercutting both their party and basic points of fundamental governance at every opportunity. What happened in San Diego? Ben Hueso and destructive politics like this happened. Ben endorsed Goldsmith because Mike Aguirre has been an ineffective and divisive city attorney. It's that simple. The city council and city staff need accurate legal advice. Not happening now. No doubt, Ben knew he'd get flak for this endorsement. I think it took political courage to do this. I disagree. I think Ben was being opportunistic and, like Vargas before him, showing the powers that be that he can carry their water. As for Mike, he's not perfect but he's a hell of a lot better than the rubber stamp that Goldsmith would be. Looking at the uninspiring performance of our City Council in keeping Sanders in check, we need Aguirre more than ever. Strict interpretation of the CA's job description doesn't work outside of a vacuum. There's a political reality in which having Aguirre consistently stand up and do the City Council's job reflects poorly on the Councilmembers who can't get it together. It's much easier for folks like Hueso to demonize a Democrat with a backbone than it is to actually act like one. Whatever. Click my name, "bw", to find out how I feel about all of this. Give Ben a break. He has been a good vote for progressives. This is 100% personal. I think Aguirre helped mess up Ben's labor endorsement when he first ran for City Council. Claimed he was corrupt. The bad blood started then and has only gotten worse. Kudos to Ben for doing the right thing here. Lucas, your title should have been "Mike Aguirre Happened". Aguirre has been a disaster for this city, and an embarrassment to our party. What good is a democrat led city council if we have a tyrant city attorney who is an obstruction to progress I have no problem voting for Goldsmith, a republican, for city attorney, especially when he understands his position is not to impose his conservative views on the city council, but to provide sound legal advice and keep them within the law. At this point, I'm not terribly surprised about anything the electeds do anymore. As we all saw with Scott Peters, once these guys get elected, they listen to the wrong people and end up on the wrong end of everything. But that's the price of being a Democrat. What's crazy is the utter lack of ambition by any of the Democrats on the mayoral level. Donna Frye, who is more of an activist than anything else, comes close to taking the seat - and this time around, Francis and Sanders fight over Democratic votes, but not one Dem officeholder wants to run for it. C'mon, what's the deal? I don't really blame the Party for this, because they have to work with what they have at this point. 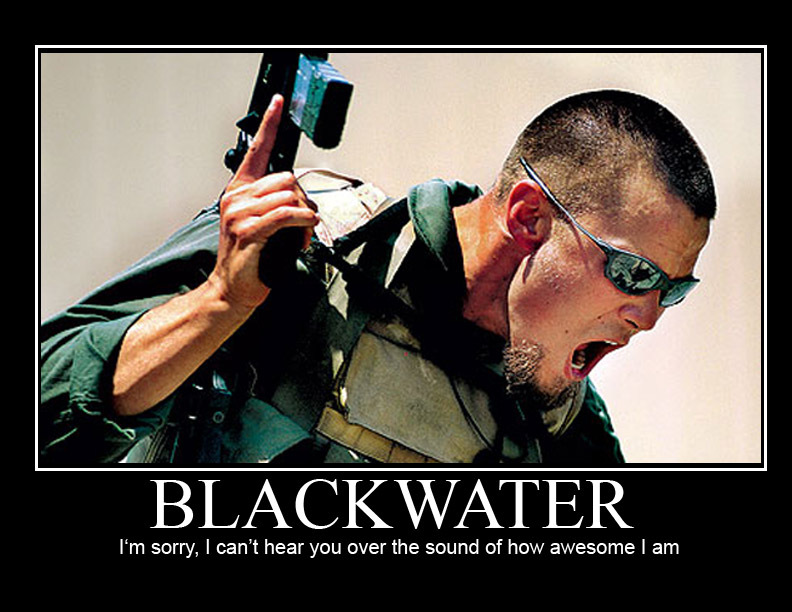 Thank you Calitics for some guts...I heard from some folks that Ben was out for Blackwater because his developer friends who are trying to put housing up in Otay Mesa saw their projects threatened by Blackwater's presence. Did you guys really think Ben is a true progressive? Its like thinking that Sanders will support LGBT rights because of one public instance when his own daughter summoned his humanity and he did the right thing. That is not courage. What if he did not have a daughter? Where would his ethics and moral rectitude have been for the gay community in this city? But I digress. Ben Hueso, Toni Atkins and Scott Peters all showed up to block our endorsement of City Attorney Mike Aguirre at the March 2008 central committee meeting. Lorena (worst labor secretary in history) showed up too. What did we get---10 weeks where an impotant party had nothing to say about such an important position. We had already given up the race for mayor. We gave it all up with a lack of endorsement for Mike. We shall not forget this lack of discipline. Even with $200,000 and change, Mr Hueso only got 5000 or so votes to get elected in 2006. In addition, to cutting any deal with the City Elites including Sanders....Ben is part of the poverty pimp network in our city. Urban Corps, Barrio Station, and Chicano Federation----and to some extent the Casa Familiar. They get 100,000s of dollars on an annual basis for their social service agencies that pay many of their CEO's well over $100,000 to run their poverty stores. Then they all, like parrots, sing the praises of Mr. Ben Hueso (and Jerry). We need more Latino leadership that are not for sale, not beholden to vested interests (the aforementioned poverty pimps) or the former speaker of the assembly Nunez in Hueso's case. His chilhood budy who gave him an unearned seat on the coastal commission. The party needs to run another democrat against Ben. The party will not be able to realize its goals if it lacks the backbone to enforce party unity. Ben's support for the newest republican judge to run for office is a betrayal. Hueso, you sold-out pig. Your family and Nick Inzunza may own all the barrio, but I sincerely hope we can still save the voters who have to live in the slums you rent them. They should put you on the street along with your former Vargas and Inzunza staff you employ. Ocean View Hills Resident for Change. P.S. see you all on July 8 when we finally act like Democratic Party Activists and support our only citywide elected Democratic Official in the last 20 years---MIKE AGUIRRE!!!! The above rant seems like someone that would move people away from their position, then bring people together. Someone is selling crazy and I'm not buying it. One of the posters talks about how one hand we should support Mike Aguirre, because he is a Democrat, then on the other hand you oppose Ben because of his actions. Stack Mike's actions and record on Democratic issues and the helping elect other Democratics to office and I can't see how a Democrat would support him. Mike has aligned himself with Jerry Sanders on many occassions, when it suited him. Where was Mike on Richard Barrera, where was Mike on raising money for the party, where was Mike helping other Democrats get elected to office last cycle, where has Mike on selling our community out to Walmart or where was he on the city employees getting ranked over the coals by the Mayor (oh, the last two he was standing next to the mayor)? Mike has not been for anything that is not just about Mike? I may just skip voting in the city attorney race at this point. A self deprecating man vs a spousal abuser, what a choice. Sorry, but there is no way I can vote for Mike. He needs to understand the D stands for democrat, not dictator. Ben is right. Instead of yelling and screaming about Ben's endorsement of the other candidate, we should ask ourselves just exactly how Mike has been a good thing for our party. If Mike becomes the poster boy of this party, we are lost. I'm a Democrat who voted for Scott Peters in the primary but will be voting for Goldsmith in the general. Mike Aguirre is rude, arrogant and extremely divisive. There is not way I would vote for him. He acts like he has more power then the city attorney actually has. Good for Ben Hueso for standing up to a bully like Mike. The city attorney race is nonpartisan anyway. I think Goldsmith will do a credible job in a nonpartisan fair manner. Having Hueso flip flop like this is not unusual.